Spring is in the air and so is the need for heightened eye care! It is that time of year with flowers blooming, the warmer temps are creeping in and we are more incentivized to go outside. Maybe a picnic at the local park or a jog through nearby trails in the woods? 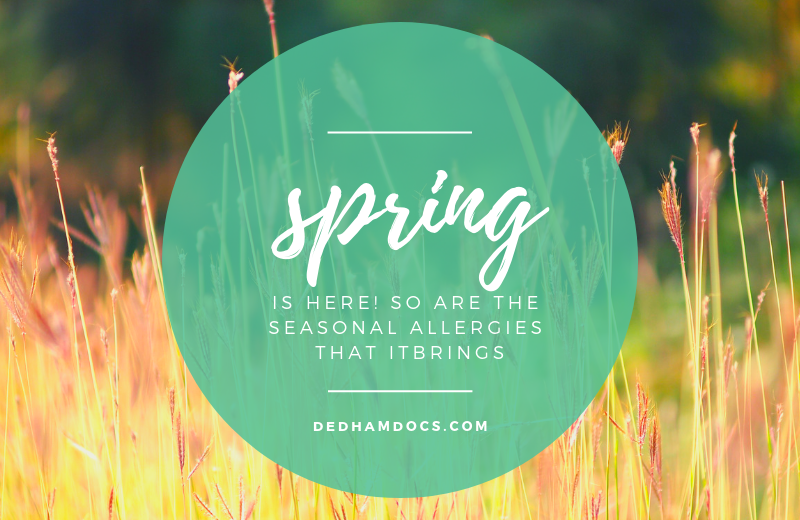 Whatever it may be that entices you to take in more outdoor activities, springtime allergies can sometimes bring us to a screeching halt. Don’t stay cooped up inside. Here are some useful tips to ‘spring’ you into your eye care routine. Allergies giving you the blues? Limit your outdoor exposure. As much as you may want to go out and take in the blooming flowers, children playing, neighbors gathering, and more – the pollen count this time of year is at its peak. If your eyes are becoming itchy, red and watery, you may want to curb the length of time spent outside. You should also seek the care of an eye doctor to see what sort of over the counter or prescription eye drops will help relieve your allergy symptoms. If they persist, you may need to consider decongestants, antihistamines, or corticosteroids for symptom relief. Sunglasses are for more than just fashion. The warmer temps bring stronger ultraviolet rays. These rays can increase your risk of developing dry eyes and other UV-induced concerns. Imagine a spring of clearer vision with a lot less discomfort than previous years! This is possible by investing in high-quality sunglasses that provide protection from UVA and UVB rays. You might also consider an upgrade to polarized lenses. When combined with artificial tear drops, the protection, and moisturizing effects are quite relieving. Clean hands and clean air for clearer vision. Washing your hands frequently can prevent the transmission of allergens from your hands to your eyes. Installing an air purifier into your home will reduce eye hypersensitivity. The two combined is a one-two punch that will knock out those nasty springtime eye woes for sure! Come in today for an eye examination and discover how the doctors at Dedham Ophthalmic Consultants can get you swinging into spring with a smile!